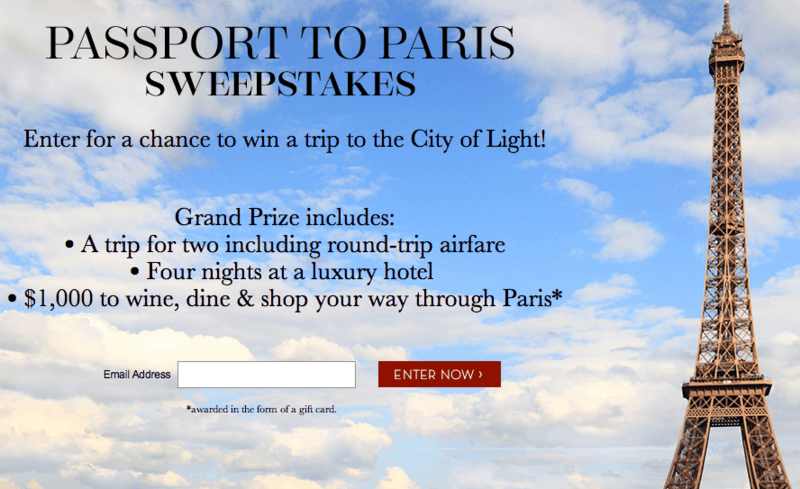 Pottery Barn and Food & Wine Magazine are partnering to award one lucky sweepstakes winner a trip for two to Paris, the City of Light! Click here to read the rules and the rest of the fine print. N.B. The criteria used for posting contests and sweepstakes on More Time to Travel is that they be travel-related and have uncomplicated entry procedures. Good luck!